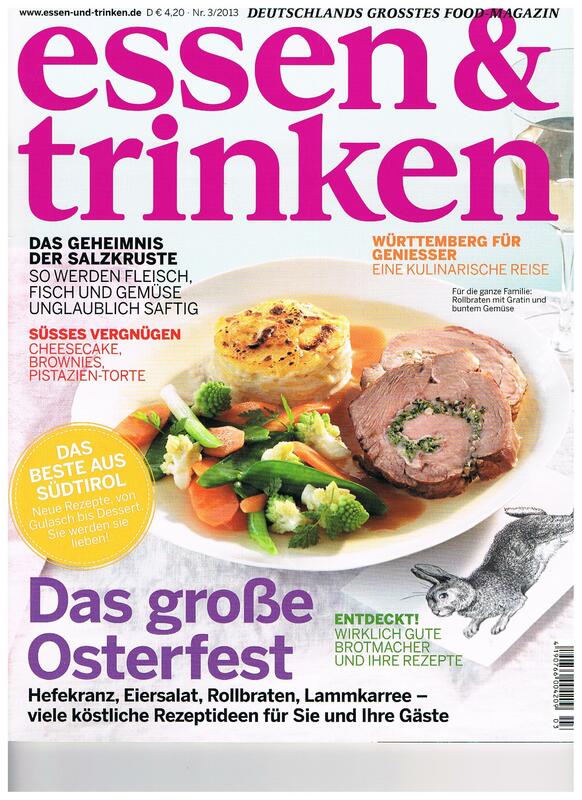 Essen & Trinken magazine reviews Maley cider. Aosta Valley shows itself in Germany. 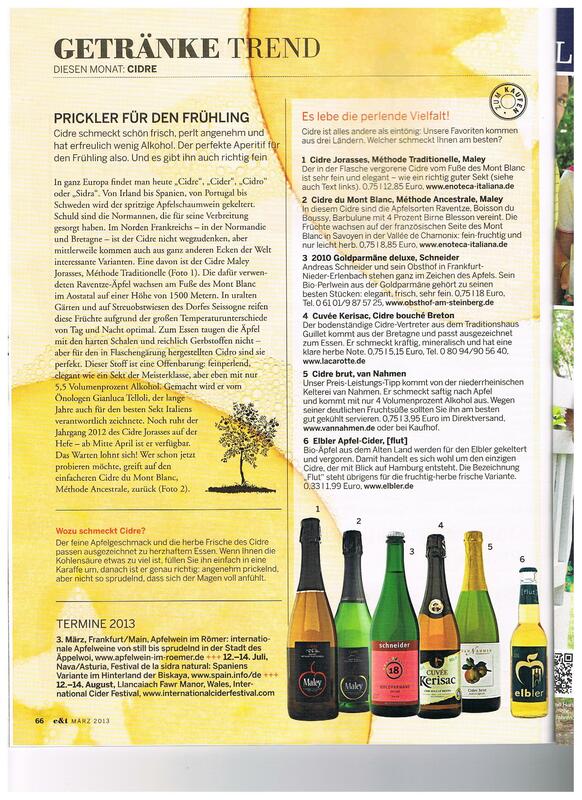 The German magazine praises valdostan apple cider and put it within international wines. Its freshness, flavours, bubbles and low alcoholic rate conquered Essen & Trinken: a true revelation. Thanks to enoteca-italiana.de, also beyond the Alps they can toast with Maley cider.